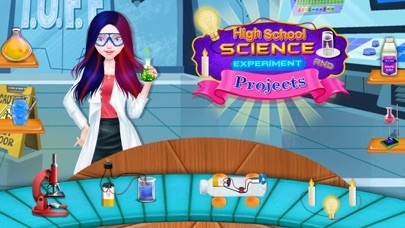 Welcome to our best High School Science Experiments and Projects at Science Lab Hello Friends, If Science was your favourite subject then Science Game for high school student is the perfect game for you. It’s time to learn and reveal some basic & interesting facts about science laboratory. 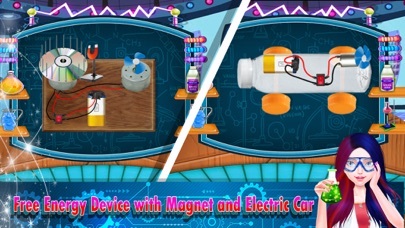 This crazy scientist lab experiments is a fun and learning game using lab apparatus, flask & funnels for education & entertainment purpose at the same time. 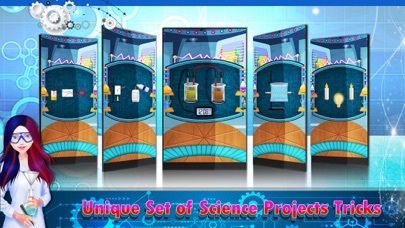 Boys & girls who wants to be a builder scientist in the future, This Science Experiments Trick Lab game is made especially for you to have a step by step guidance in learning awesome toy making in the high school lab. Are you getting bored by playing the same kind of engineering games? 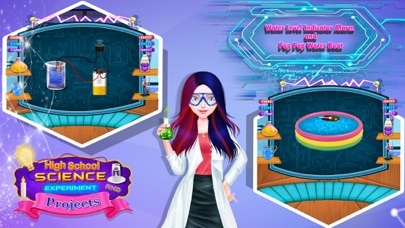 If yes then, we give you the chance to enter into the world of science experiments simulation games where you will build, learn tons of amazing science experiments with different materials in science lab star. After completing an experiment the results and conclusions will be presented for learning & assistance in school projects simulator game. Learning cooking in kitchen like a chef is important but learning science is also very important for high school boys and girls. Have you ever tried Potato Battery Experiment? If no, let's try with this latest educational game science Tricks & Experiments In Science College. This science fair game will guide you how to apply amazing museum experiment at home as a scientist, with the help of professional teacher. Middle school student always got excited about science lab experiments. 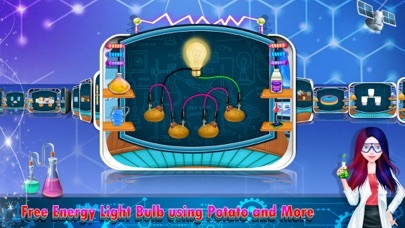 This game is totally unique game so play and enjoy this latest science school and share your experience with your friends and all the family members. Experiments: - Lenz's Law for Magnetic Fields of Magnet - Free Energy Light Bulb using Potato - Power Your Clock With Coca Cola Soft Drink - Free Energy Device with Magnet - Water Level Indicator Alarm - Steam Powered Toy Boat - Pop Pop Water Boat - Reaction of Zinc with Dilute Sulphuric Acid - Make a Bubble Machine - Make a Electric Toy Car - Paper Bridge Challenge - Make A Flashlight out of Paper - Paper Circuit - Light a Bulb with Candle Power - Burning Paper - Melting Ice with Sugar - Candle Oxygen Experiment - Manganese dioxide and Hydrogen Peroxide Experiment - Make invisible Ink from Milk - Bottle and Paper Experiment - Leak Proof Magic Plastic Bag Little boys & girls should not perform these experiments without adult permission Features: - This is very simple and fun to perform for science girl - Perform different experiments that have never been done before - Get good grades in your science experiments and impress the teacher - Do the most interesting chemical experiments - Time to relax before you start your dream job - science activity games - DIY Science Tricks Hope you enjoyed playing our science games and if you want more features for this game please leave a comment.